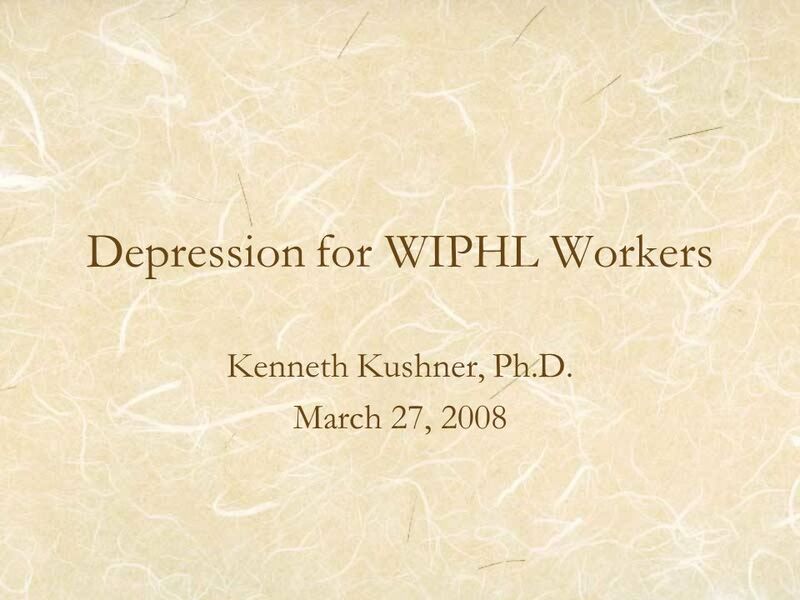 Depression for WIPHL Workers Kenneth Kushner, Ph.D. March 27, 2008. 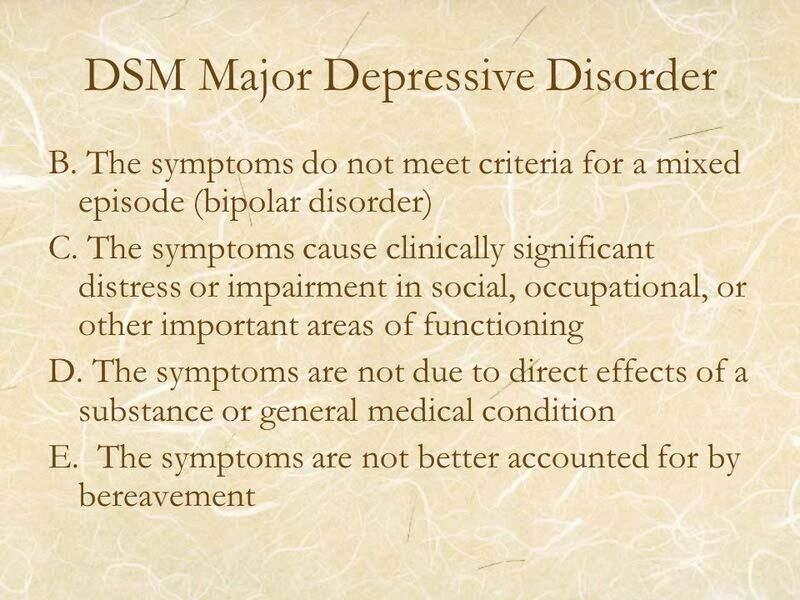 12 Adjustment Disorder An adjustment disorder is a debilitating reaction, usually lasting less than six months, to a stressful event or situation. 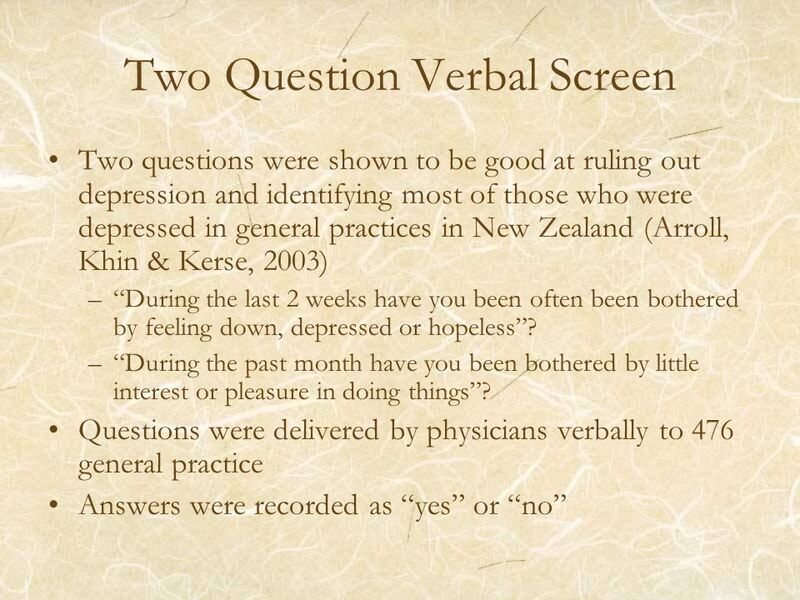 The development of emotional or behavioral symptoms in response to an identifiable stressor(s) occurring within 3 months of the onset of the stressor(s). 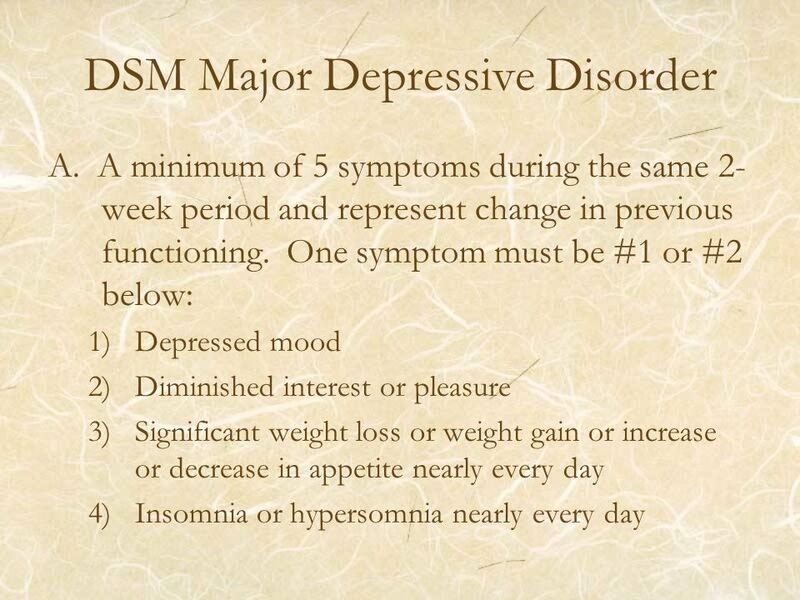 These symptoms or behaviors are clinically significant as evidenced by either of the following: – Distress that is in excess of what would be expected from exposure to the stressor. –Significant impairment in social, occupational or educational functioning. 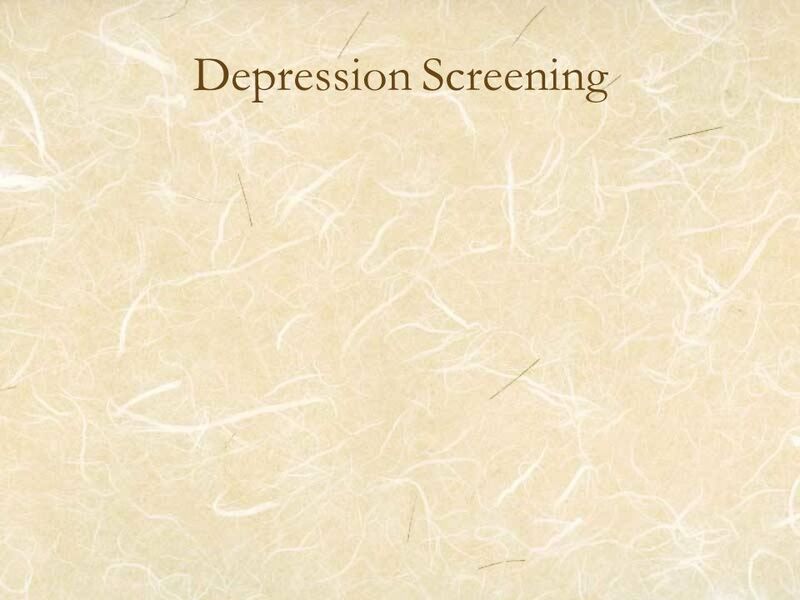 The symptoms are not caused by Bereavement.Bereavement. 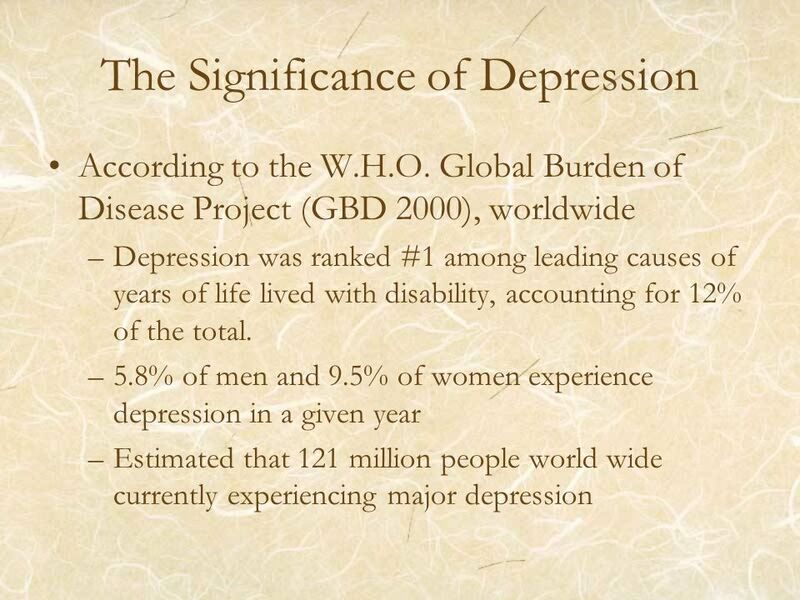 Download ppt "Depression for WIPHL Workers Kenneth Kushner, Ph.D. March 27, 2008." 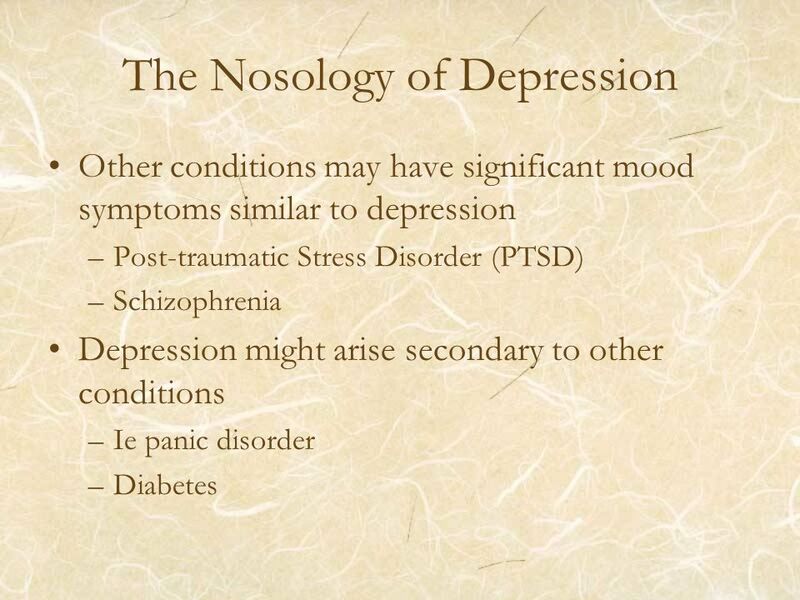 Mood Disorders I (Chapter 7) March 7, 2014 PSYC 2340: Abnormal Psychology Brett Deacon, Ph.D.
AFFECTIVE FACTORS IMPACTING ON ACADEMIC FUNCTIONING Student Development Services: Faculty of Commerce. 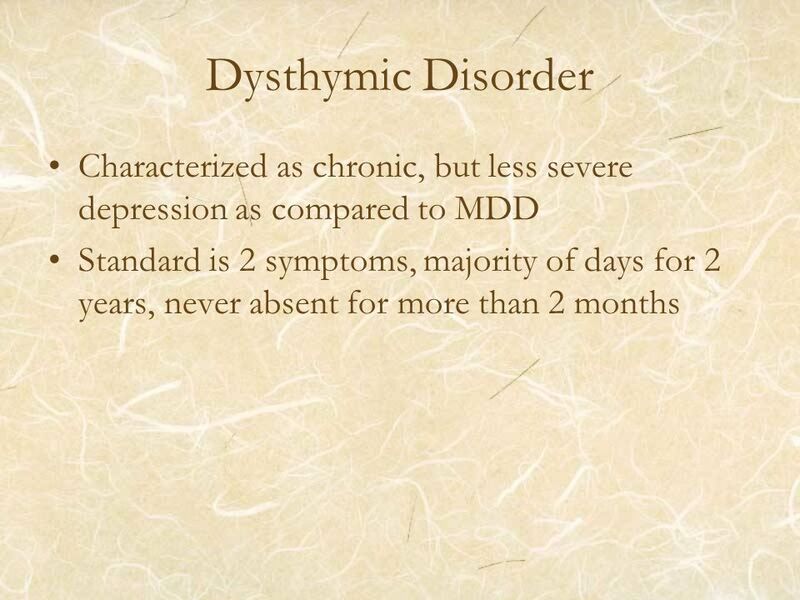 Section 5: Somatoform Disorders. 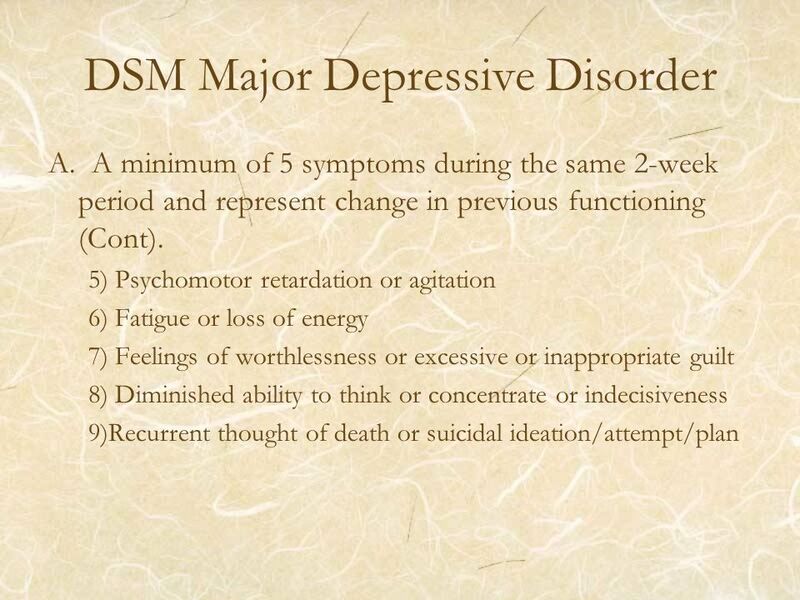 Somatoform Disorders Somatization – expression of psychological distress through physical symptoms Not intentionally. 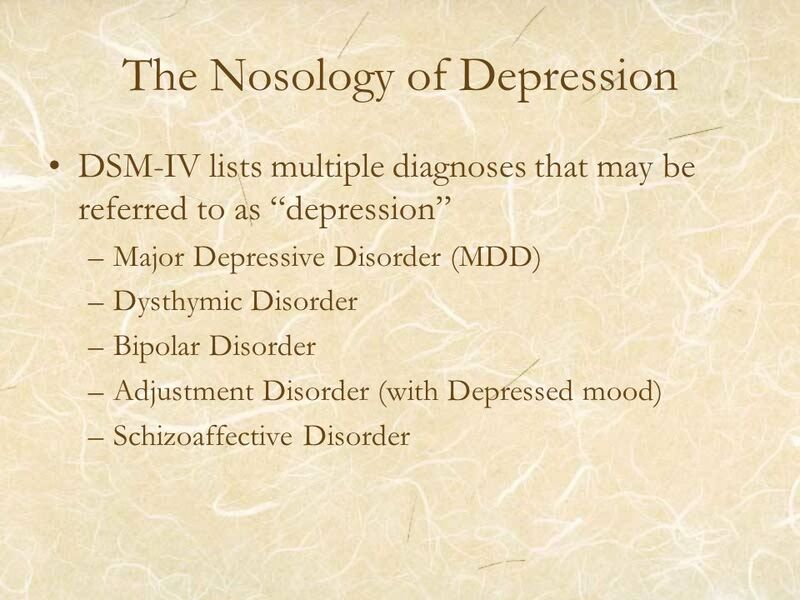 Mood Disorders. 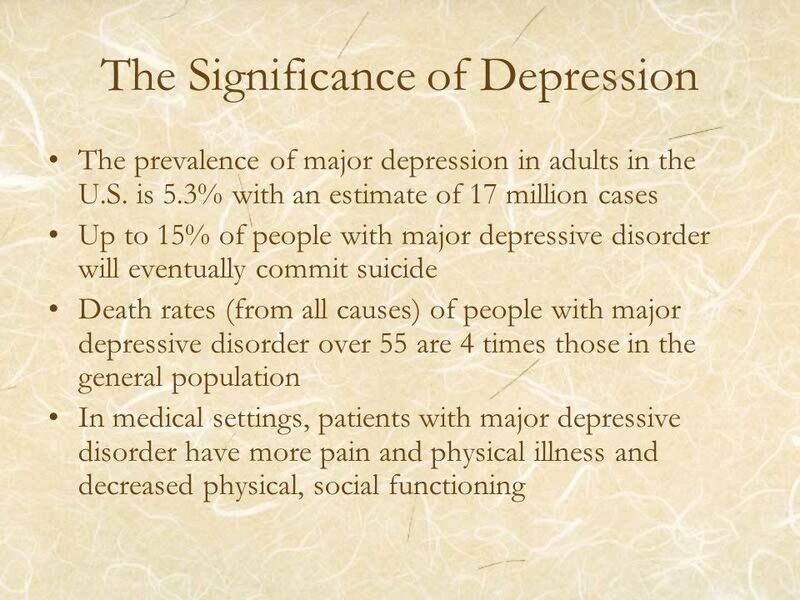 Level of analysis Depression as a symptom Depression as a syndrome Depression as a disorder. Mental Health from a Public Health Perspective Professor Carol S. Aneshensel Department of Community Health Sciences 10/12/09. 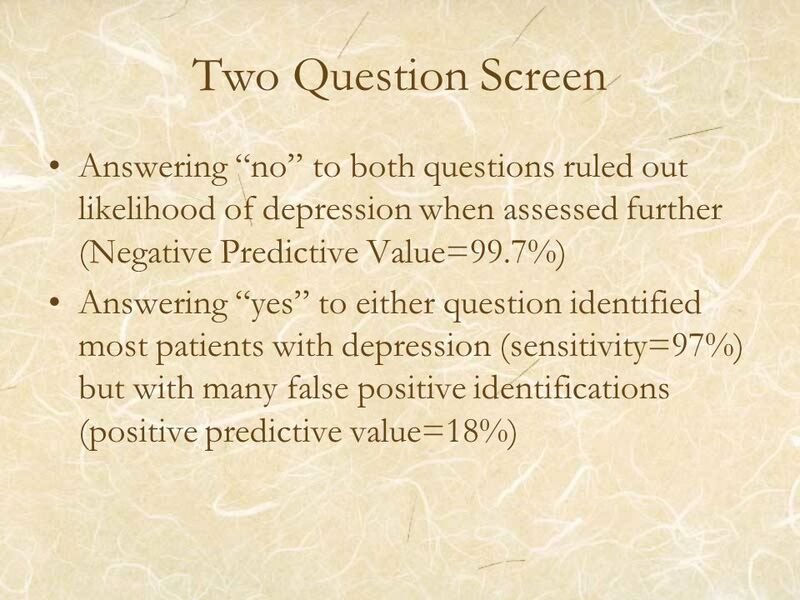 MOOD DISORDERS DEPRESSION DR. HASSAN SARSAK, PHD, OT. MENTAL HEALTH Understanding Mental Illness. 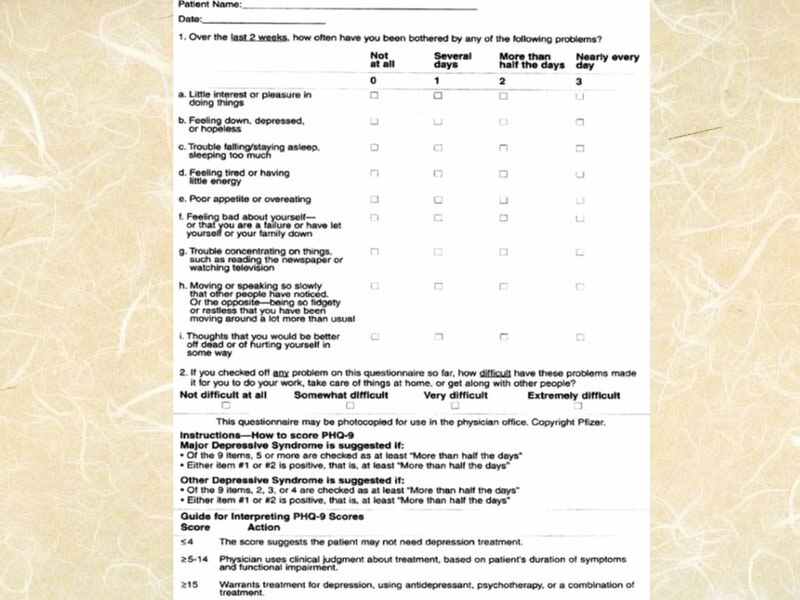 Defining Mental Illness Clinical definition Clinically significant behavioral problems Clinically significant. 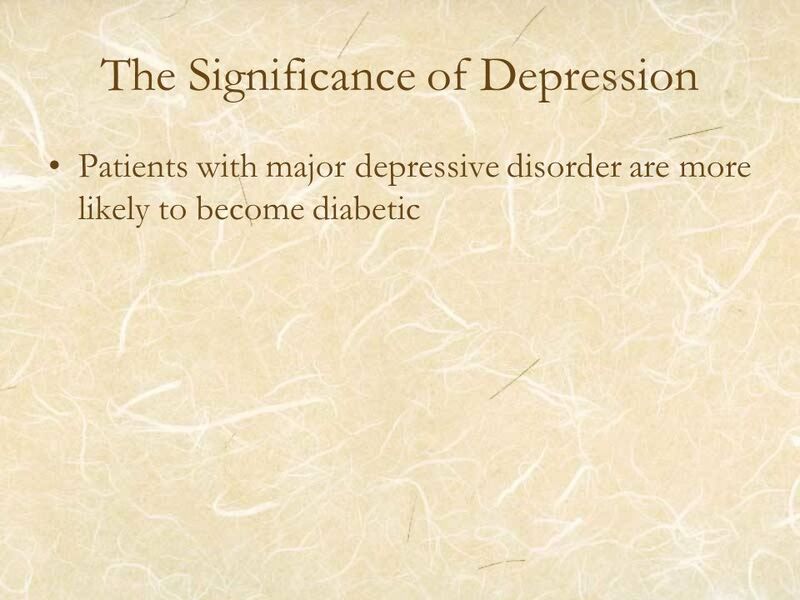 + Bipolar Disorder Dajshone Bruce Psychology, period 3 May 1,2011. 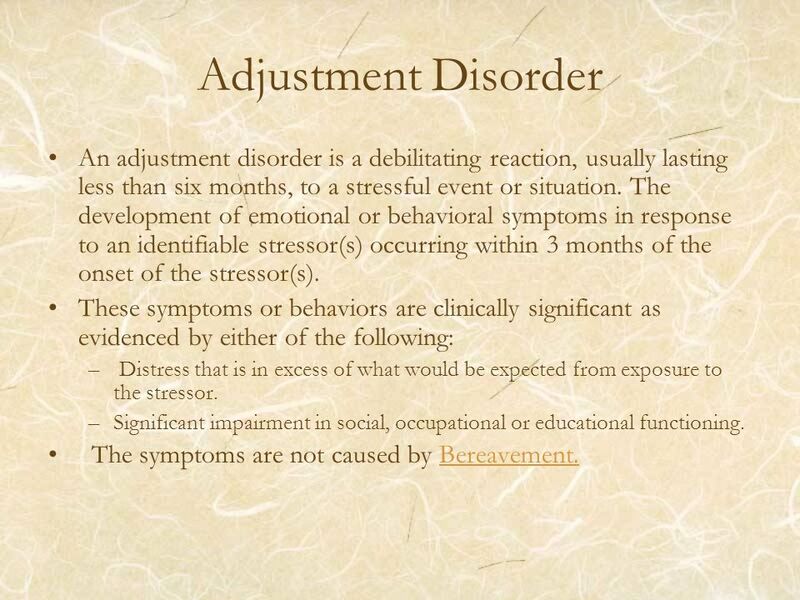 Adjustment Disorders Dr. Paul F. Hard, LPC-S, NCC. 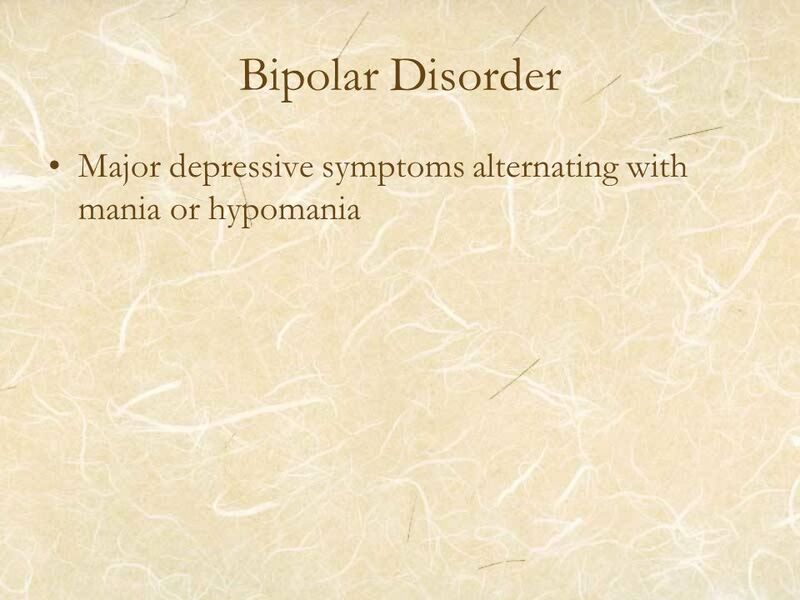 Mental Disorders.  May be defined as a mental disorder if the behavior:  causes a person to suffer  is self-destructive  seriously impairs the person’s.